Customer sought a cost-effective system and way to facilitate face to face interviews between 60 team members, their clients and business stakeholders when these people are located in different offices throughout Sydney & regional NSW. Each team member is serviced by a local area network (LAN) connected to the corporate network and each employee is provided with a corporate PC to facilitate their daily work activities. 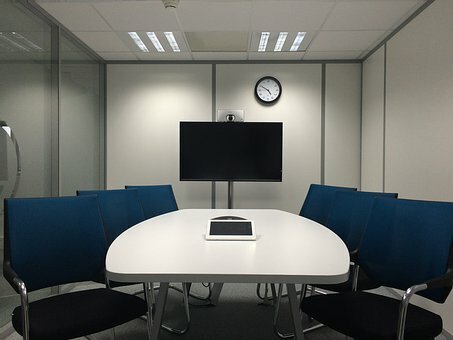 Install several Video Conferencing systems in each local office utilising the existing PC and corporate network to provide connectivity. Develop a detailed and scalable Pilot and Production Plan nominating and scheduling all project inputs, resources and outputs on a site-by-site basis. Project manage all site works and liaise with all customer and third-party stakeholders to ensure all relevant milestones and budgetary targets were satisfactorily delivered, including: procurement and delivery of equipment; co-ordinate and arrange access and Customer supplied resources to each site. Manage and provide all logistics and associated facilities for freighting, warehousing and staging the network equipment for the duration of the project. Work closely with the customer’s IC&T infrastructure team to deploy new or redeploy/re-configure existing network hardware at each site. Securely and accurately manage and update a detailed Customer Asset Register, including details of all new, re-deployed and decommissioned equipment. Test each new installation and provide comprehensive end user training of the Video Conferencing system. Customer is enjoying the benefits of a completely new and cost-effective Video Conferencing System that will serve its needs for many years to come.